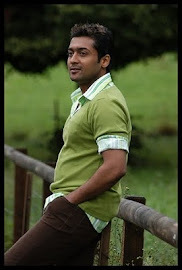 We all know that Surya is one actor who never fails to push the envelope for his films. The cinematographer Priyan, recently shared his experience working with the actor, "I have been working with Surya since the past 8 years starting from Aaru to the recent Singam 2 and all along I have been amazed by the way he keeps his diet in control and the extremes to which he pushes his body, for each role. In the past 1 year or so, he must have had rice for hardly 3 to 4 days as he wished to maintain the mean, toned look as the super-cop. His hard work, dedication and sincerity are all too well-known and I wish him a long and healthy life, on behalf of my camera crew and the Singam 2 team". Priyan was happy about the success of Singam 2 and said that starting from the producers to the theater owners in all centers, people have made deserving money. The weekdays are still maintaining at 80% occupancy while the weekends are full, said a pleased Priyan.